The New Jersey Arts Education Partnership and Social Impact Studios will present an interactive overview of the Arts Ed Now Campaign – a multi-year, statewide effort to increase participation in arts education. The team will review the behind-the-scenes design of the initiative and will lead a conversation on creative ideas for engaging ambassadors at the local level. Attendees will have an opportunity to interact with advocacy tools during the session for immediate on-the-spot action! The Sustainable Jersey for Schools certification program recognizes that Education for Sustainability (EfS) can occur in the context of any academic discipline and at any grade level. Find out how your board can support EfS in the classroom and adopt comprehensive curriculum mapping. Green enhancements to a strategic plan are a guiding force for future sustainable decision making. 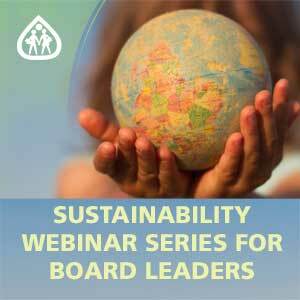 Join us to learn ways your district can incorporate sustainability goals or objectives into your strategic plan to help define a common vision for future priorities and allocation of resources. These new elements will empower, inform and energize stakeholders from your school community to help proactively identify opportunities for change. Learn about the actions districts can take to expand policy beyond legal compliance and support sustainable schools and environmentally responsible practices. The board's role in adopting effective policy supports and guides district initiatives to enhance a healthy physical and educational environment in which students are empowered to invest in their health and the health of the planet. Educational foundations can bring in new funding to help schools offset the impact of tight budgets on program and classroom costs. Learn about the ways school foundations can support your district's sustainability initiatives. Safe Routes to School (SRTS) is a nationwide movement aimed at encouraging elementary and middle school students to walk or bicycle to school. Safe Routes to Schools District Policy can earn your district up to 40 points toward Sustainable Jersey for Schools certification. The goal of New Jersey's Safe Routes to School initiative is to get children walking and bicycling to school where it is safe and to make it safe where it is not. Participate in this webinar to learn about the SRTS initiative and how the board can adopt a Safe Routes to School policy.